If your curiosity always led you to the same place called „I don’t know”, than let me help you and explain, that there is no magic or quantum physics behind the making of these garments. As an innovative fabric designer I can assure you, it’s pure design wisdom paired with hands-on experience, creativity and passion. So, what’s holding you back from creating stunning and unique designs? 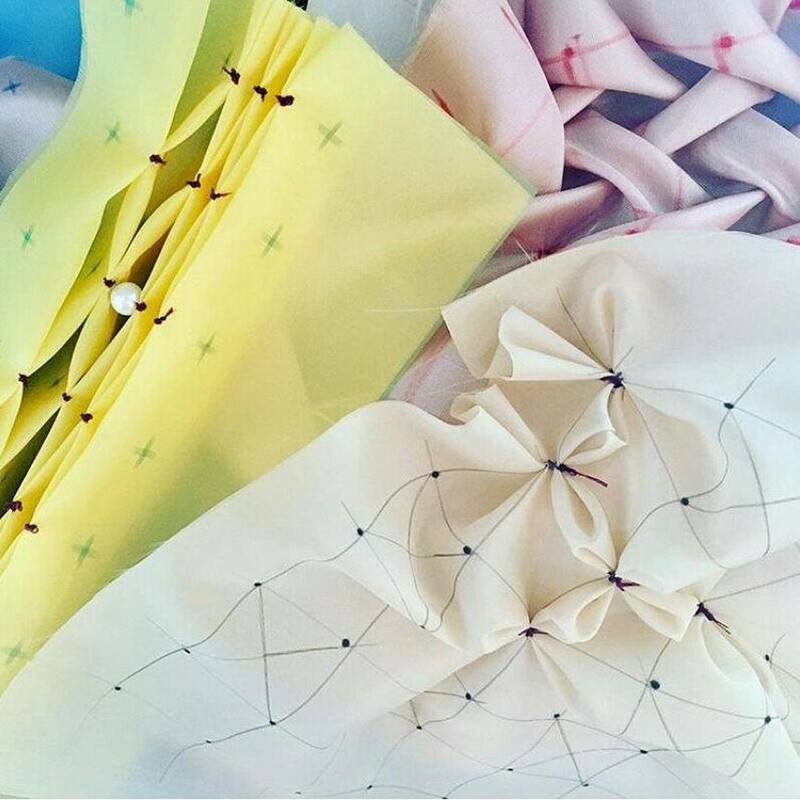 2017 was filled for me and my students with hand-smocked fabrics, 3D origami pleats, shibori organza bubbles, architectural cuts, braided leathers, innovative macrame knotting and multiple types of embellishments for fabrics. 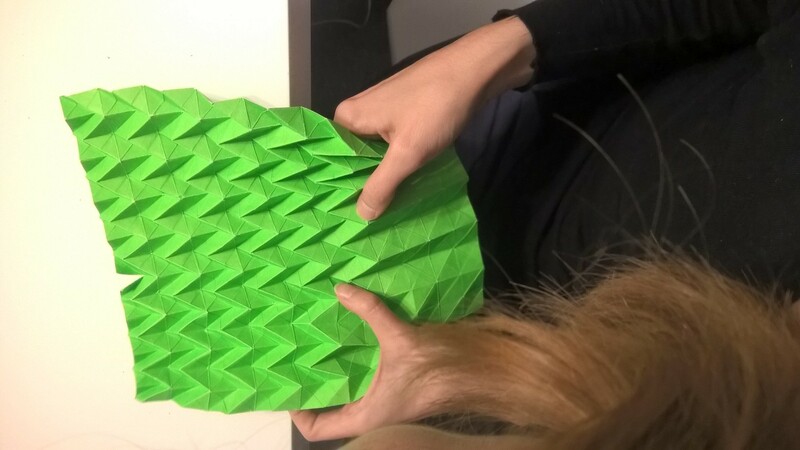 During over hundred of taught design Masterclasses, we have been experimenting with materials and new technologies , challenging the conventions of innovative fabric design. The final effect? Numerous outside-the-box designs kicked into life. Produced well-cut architectural designs. Added volume and texture to garments. New skills learned and hands-on experience gained. We learned, we sew, we designed and we let our imaginations loose. 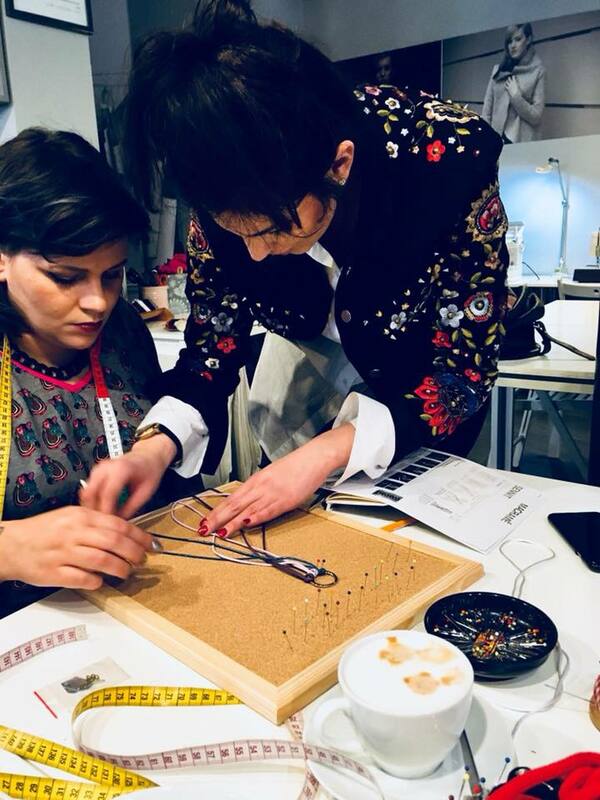 If you have the passion, my Masterclasses are providing you with expertise and tools to teach you a wide range of innovative textile design techniques. Get the information, inspiration and support you need to succeed in the fashion industry and bring your outside-the-box concepts to life. 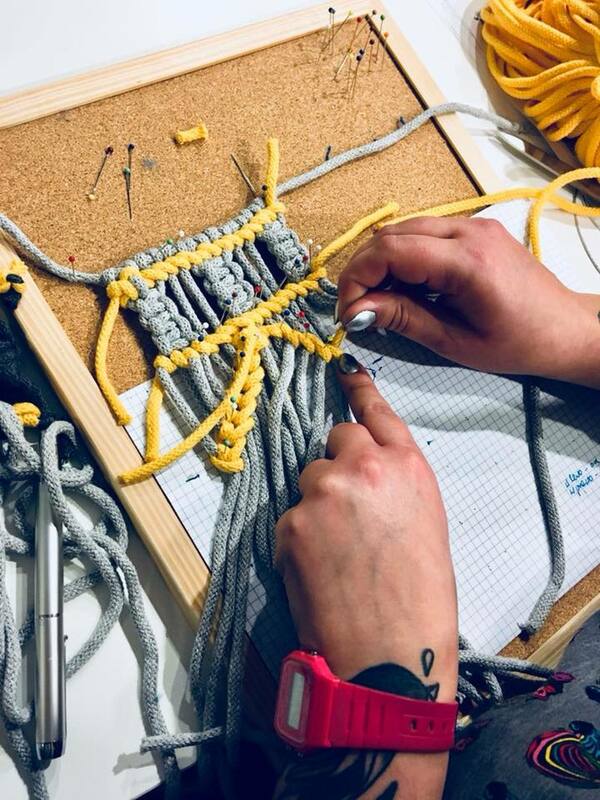 In small class groups, we learn how to transform 2d fabric into 3d, we learn step-by-step patterns and the most important- we learn the appreciation for bespoke craftsmanship. 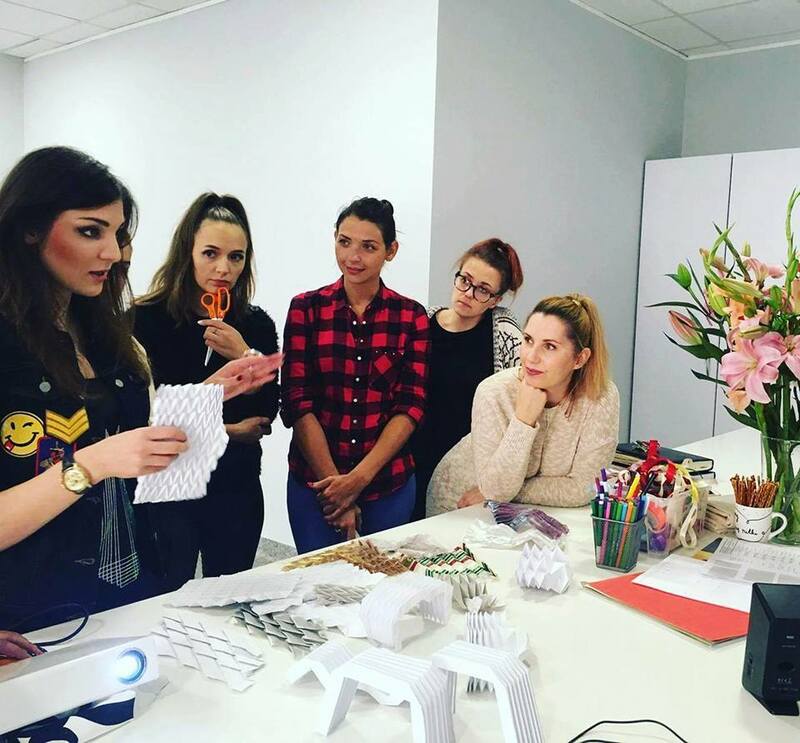 Join like-minded artists and designers in your chosen courses. Master professional techniques and set your work apart from others. Get a closer look at the backstage of my Masterclasses and dig deeper into the world of innovative fabric design. Her Spring-Summer collection is all about modern shapes, bright colours, innovative, sustainable textiles and embroidered leather. The playful and colourful collection gained great media attention. The Fall-Winter 17/18 collection is an exploration of the relationship between strength and emotional weakness. The collection is dedicated to all the brave ones, who discover uniqueness by embracing their weakness. The dreamers, who dare to get out of their comfort zone and who know, that fragility and discomfort is the place, where strength and new ideas are born. FW 17/18 is an expression of emotional power and raw energy combined with a romantic twist .Integral to Dominika Syczynska aesthetic is the confrontation of contrasting elements: weakness and strength, modernity and tradition, rawness and femininity. An emotional viewpoint is realised by the appreciation of craftsmanship and artisanal techniques . All garments have been designed with a great attention to details and created by the use of innovative fabric manipulation techniques. Fine cashmeres were hand embroidered with raw metal embellishments. Leathers were turned into large-scale flower, bomber jackets with unusual constructions. Contrasting textiles in deep red, black, white and grey colours express the darkly but dreamy spirit of the collection. Dominika Syczynka’s collection is her own story and expression of strength.